Dr. Ed Exteberria is working with new laser technology in his lab at the UF/IFAS Citrus Research and Education Center and is finding the enlightening approach ensures chemical sprays needed to move systemically within a citrus plant to fight diseases can do so. 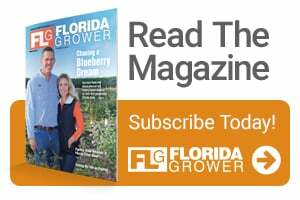 Citrus greening has taken a mighty toll on growers in Florida for well more than a decade now. In order to salvage a future for the deeply-rooted industry, all possible remedies must be vetted. Ed Etxeberria, a UF/IFAS Professor of horticultural sciences, is taking on that challenge and looking to new laser technology for enhancing the efficiency of spray solutions aimed at restoring vitality to greening-affected citrus trees and reducing amounts of chemicals applied. With the updated technology, a laser can shoot infrared energy pulses at citrus tree leaves. 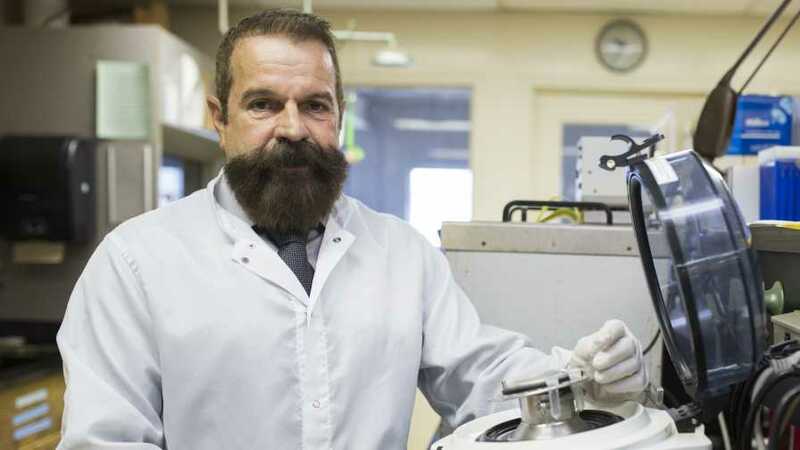 That energy cracks the cuticles on the leaves and increases the penetration of crop protection chemistries – including bactericides — into the leaves by more than 4,000%, according to Etxeberria. Once substances get into the leaf, the vascular tissue – phloem and xylem — picks them up, and they move throughout the tree. The updated laser technology has been tested with success in the lab so far. Etxeberria predicts it will be very simple to use in the field as well. But first, UF/IFAS agricultural engineers will have to adapt the laser to grove conditions.